Snow Queen Elsa from Disney's hit Frozen film helps you keep from spilling your drink! This Frozen Let it Go Elsa Glitter 16 oz. 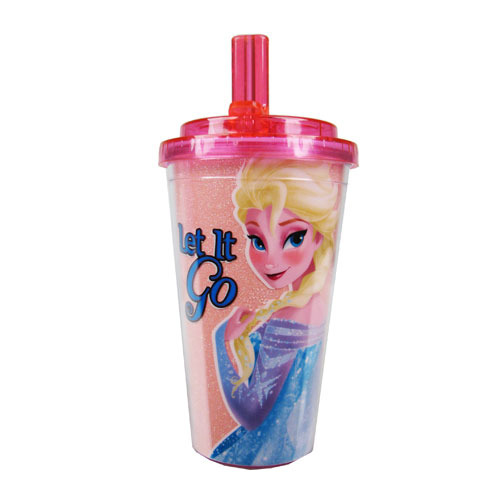 Flip Straw Travel Cup features a stylized and cartoon image of Elsa. This great travel cup holds up to 16 ounces of liquid, and features a lid with convenient flip straw to help avoid spills. Hand wash only. Not dishwasher safe. Do not microwave. Ages 12 and up.